Ideally perched on a flat 6000 sqft lot, just a blk from the heart of QA. Thoughtfully renovated to the studs and lovingly cared for, she’s a magnificent example of elegence, luxury and convenience. 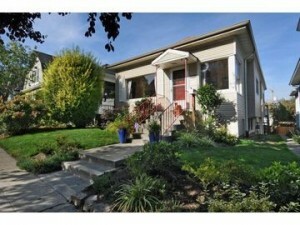 Boasting 4 true bdrms incl a spectacular mstr suite + office, 2.75 lux baths, gourmet kitch w/all the bells/whistles. “Great Rm” off kitch opens to fab back yd. All new systems, roof, windows, siding, paint, eq strapped and more. Glistening and ideal in every way and a perfect place to call “home”.